Send us your photo of the River Stour or flora, fauna, wildlife around the river. Judging will take place in October and if we have enough good entries we will have a calendar made in time for Christmas. Printed Photo: c/o Transition Stourbridge, 49 Heath St, Stourbridge, DY8 1SE. 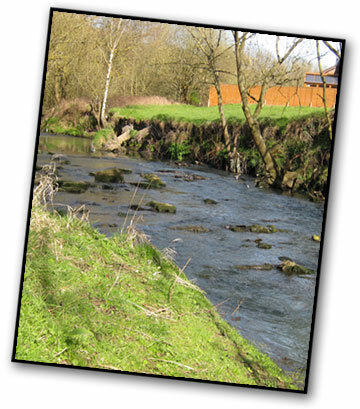 The photo of the River Stour may be taken anywhere in the Dudley Borough. Please include location and close identifying landmark. Please state age if under 16. Have you any rules for size of printed image or resolution for digital. If you have a lot of full resolution images emailed to you it could clog up your email. How many images can you submit to the photo competition ? Remember the dpi on its own does not effect the file size. It’s the total number of pixels which matter. Your poster asks for 300 dpi and 1200 pixels wide. This would equate to a picture 4 inches wide and therefore would be a relatively small file.of about 4 mb.. Thanks for the Info Keith, what would you suggest and I’ll update the content and re-post the article for this year. It all depends on what physical size you want the pictures. For example a print 7.5 inches by 5 inches works out at 2250 pixels wide at 300ppi and would be about 9.6 mb and you would not want too many of those by email. There are a couple of options. One would be to ask for entries on a CD then they could be any size without causing a problem. Another would be to ask for low resolution images to be emailed with the proviso that any award winners must supply a high resolution image before they can collect their prize. In this case you could insist that pictures should be in landscape format and a maximum of 1024 pixels wide by 768 pixels high. This works out at about 2.25mb. This is the resolution of most projectors.